Alia Bhatt seems aware of the unusual casting that has happened by pairing her opposite Salman Khan in Sanjay Leela Bhansali's Inshallah. She comments on the same. Actor Alia Bhatt is gearing up to begin shooting for her next film Inshallah with Sanjay Leela Bhansali and Salman Khan. 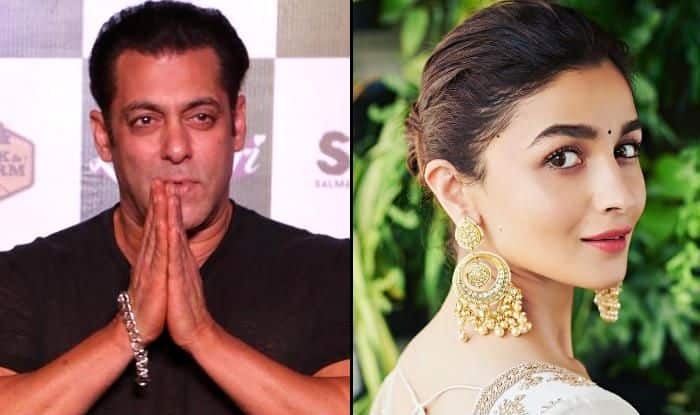 Ever since the announcement was made about she bagging a lead role opposite Salman, most expressed surprise considering the age gap that Alia shares with Salman. However, now in her latest interview, she revealed the casting of Inshallah has been done after a lot of thinking and it’s an interesting script. Earlier, while talking about collaborating with Alia on a film, Bhansali had said that a director would always love to work with actors of a certain calibre and when the time felt right to him, he decided to walk on this new journey with Salman and Alia. Alia Bhatt has got only big films in her kitty now. Apart from Inshallah, she has now got Kalank releasing in a few days. The promotions of the film are in its last leg and the film is all set to hit the screens on April 17. It’s a multi-starrer with Varun Dhawan, Sonakshi Sinha, Aditya Roy Kapur, Madhuri Dixit and Sanjay Dutt joining Alia on the screen. Later this year, she will again begin another promotional cycle for her film Brahmastra with Ranbir Kapoor. The film, slated to release on December 21, is a fantasy drama with Amitabh Bachchan and Mouni Roy also playing important roles. Alia has then got SS Rajamouli’s RRR in the pipeline. There’s so much on her plate and she is making the most of it!